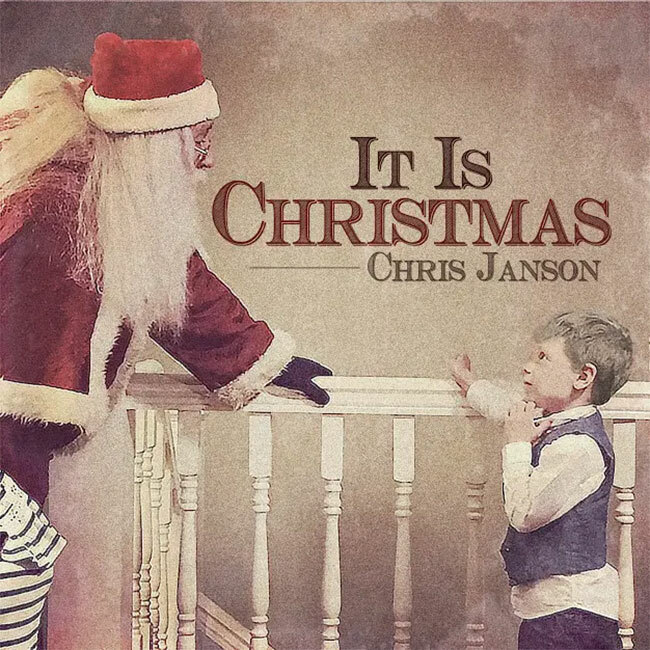 In the spirit of the upcoming holiday season, platinum-selling, three-time CMA nominee Chris Janson invites you to his own family gathering with the intimate new video for “It Is Christmas,” Janson’s first ever Christmas release. The video premiered on CMT this week, and is available at all digital music partners. The charming holiday track features Janson playing the white grand piano from his powerful “Drunk Girl” music video along a backdrop of his bubbly and beautiful family gathering. Throughout the year, we have caught glimpses of how doting of a family man Janson is, but it is endearing to see him in action. In this video, we see Chris, Kelly, and their four children in their natural habitat, hosting family and friends for a holiday party at the Janson household. As the video progresses, we see snapshots of Christmas dinner being prepared, presents being given, and conversations being filled with laughter. Finally, Janson’s children and their friends approach Chris and his piano in wonder, as they join him in song celebrating the most wonderful time of the year. This video is sure to conjure up feelings of warmth, love, and family, just in time for Christmas. Janson is currently on his headlining Waitin’ On 5 Tour. Tickets are available at Janson’s website.